Situated in Fairfield, this hotel is 2.3 mi (3.6 km) from Jungle Jim's International Market and 2.8 mi (4.5 km) from Ohio Valley Antique Mall. Winton Woods Park and Tri-County Mall are also within 6 mi (10 km). Situated in Fairfield, this hotel is 1 mi (1.6 km) from Ohio Valley Antique Mall and 2.1 mi (3.3 km) from Jungle Jim's International Market. Tri-County Mall and Van Cleve Park are also within 6 mi (10 km). Situated in Fairfield, this hotel is 1 mi (1.6 km) from Ohio Valley Antique Mall and 2 mi (3.2 km) from Jungle Jim's International Market. Tri-County Mall and Van Cleve Park are also within 6 mi (10 km). Situated in the business district, this hotel is 1 mi (1.5 km) from Ohio Valley Antique Mall and 2.1 mi (3.3 km) from Jungle Jim's International Market. Tri-County Mall and Van Cleve Park are also within 6 mi (10 km). How Much is a Hotel Room in Fairfield? Hotels in Fairfield start at $64 per night. Prices and availability subject to change. Additional terms may apply. Are you thinking about roaming in Cincinnati and are eager to find somewhere to put your feet up in between making memories in Fairfield? Travelocity has a wide range of options. At the moment, Travelocity's easy-to-use booking guide contains 13 accommodation options within a short drive of Fairfield's downtown. Travelers will find Comfort Suites and Hampton Inn Cincinnati NW/Fairfield within walking distance from Fairfield's city center. Travelocity's accommodation database contains only a limited number of budget lodging options in Fairfield. 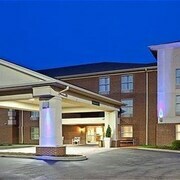 The Extended Stay America Cincinnati - Fairfield is one such listing. You could also try the 21c Museum Hotel Cincinnati and also the Residence Inn by Marriott Cincinnati Downtown/The Phelps. The 21c Museum Hotel Cincinnati can be found just 16 miles (25 kilometers) from the main part of Fairfield. 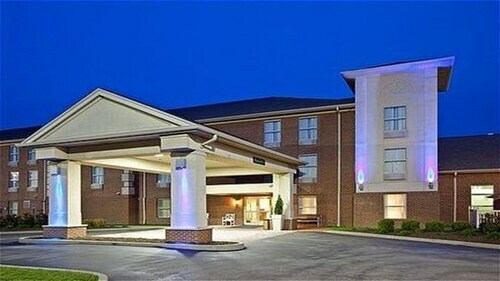 The Residence Inn by Marriott Cincinnati Downtown/The Phelps, is only 16 miles (26 kilometers) away. Alternate places to stay are the The Westin Cincinnati and the Cincinnatian Hotel. Keen on seeing even more of the rural landscapes, rolling hills and prairies this part of the country offers? How about you enjoy some time in other destinations in Southwest Ohio? Spend your time cycling, shore fishing and canoeing or discover the area's varied attractions. Great Travelocity-listed places to stay can be booked. 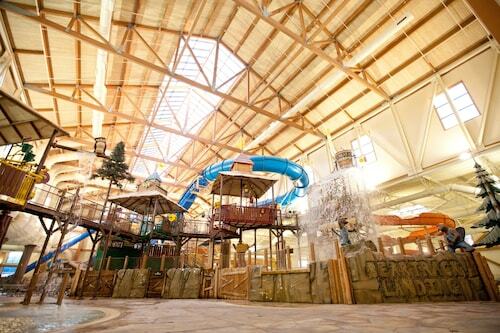 Mason is 13 miles (21 kilometers) to the east of Fairfield and is where you'll find Kings Island and Beach Waterpark. 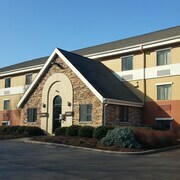 The Hampton Inn Cincinnati/Kings Island and Baymont Inn And Suites Mason are just some examples of the Travelocity apartment and hotel choices in Mason. 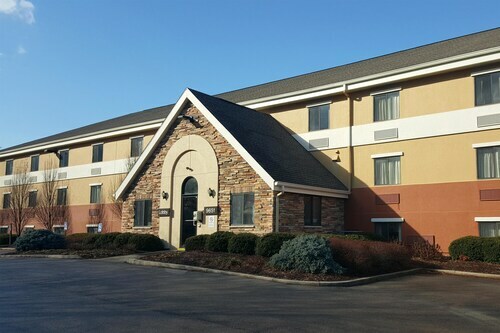 For another option, stay in North Cincinnati, 7 miles (11 kilometers) to the northeast of Fairfield, where you'll find the Staybridge Suites Cincinnati North and Comfort Inn & Suites West Chester. If you're staying in North Cincinnati, be sure to check out the Trammel Fossil Park and Walden Ponds Golf Club. Before leaving Cincinnati, be sure you take in some local teams. Swing by Paul Brown Stadium, which you will find to the south of Fairfield. Find a Travelocity-listed hotel surrounded by the action at the Hyatt Regency Cincinnati or the Springhill Suites by Marriott Midtown Cincinnati. Cincinnati - Northern Kentucky International Airport can be found 20 miles (32 kilometers) from the city center of Fairfield. Travelers who wish to find accommodation in the area can find a night via Travelocity at the Cincinnati Airport Marriott or the Courtyard by Marriott Cincinnati Airport. This is an older hotel with accents and its in excellent condition. Very satisfied with our stay. Friendly staff. Very comfortable bed. Ultra clean room. Hot breakfast and dinner for free! Hotel was very clean and quite. This is the second time I have been to this hotel and an very satisfied. One issue for a short period of time was the wifi, but it was fix in no time. The bed let like I was sleeping in clouds. The complimentary breakfast was great. Didn’t have time to use the gym or pool.